There's No Snowing in April! 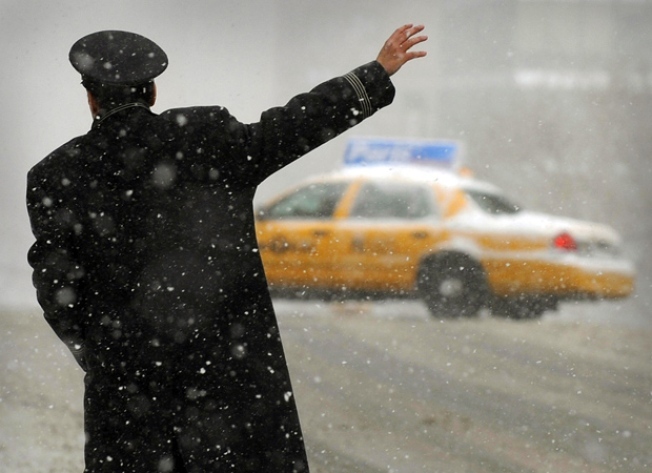 This doorman is either trying to hail a taxi or shoo away Old Man Winter. New Yorkers were treated to an unhappy sight on Wednesday when snow began to fall in Manhattan before tapering off 20 minutes later. Meteorologist Chris Cimino says there will be some spotty rain and flurries throughout the day. There shouldn't be any accumulation on the ground, but that's a small consolation to New Yorkers who thought they'd seen the last snow of the season weeks ago. The temperatures are expected to be in the 40s today with wind chills dipping down into the 30s.